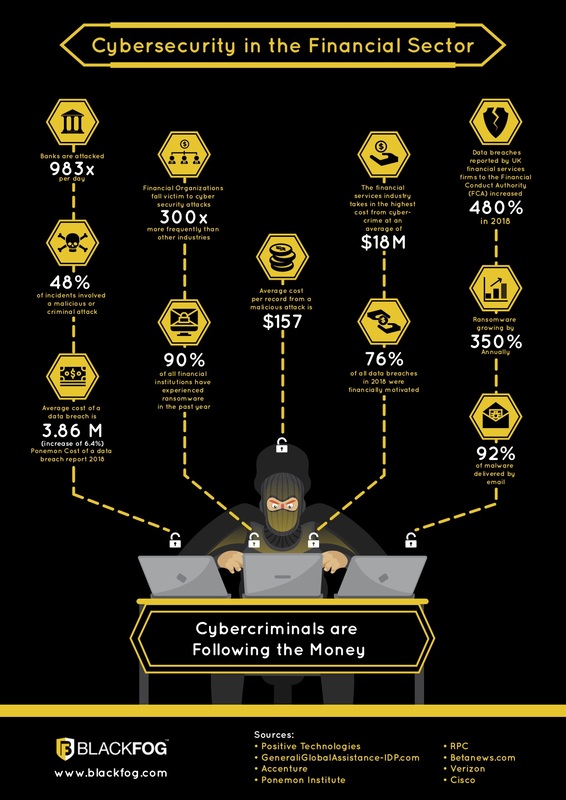 Cybercrime is a lucrative business and the financial industry is under relentless attack from hackers. As cybersecurity attacks continue to grow in both sophistication and frequency and financial services firms become increasingly reliant on customer data and technology to run their businesses, staying one step ahead of cyber criminals is critical. With more than 90% of financial institutions targeted by a ransomware attack in 2017, it’s clear that ransomware is still the tactic of choice for cybercriminals. With financial gain being the primary motivation for cybercriminals, it’s not surprising that banks and other financial services organizations are a regular target. Banks remain a top target for ransomware and malware. Verizon reported that 76% of all data breaches in 2017 were financially motivated. Customers are reliant on electronic banking to complete transactions so financial institutions have developed more mobile apps and web portals. This has increased their exposure and risk to cyberattack. Mobile banking threats include mobile malware, third-party apps, unsecured Wi-Fi networks, and risky consumer behaviour. The financial institution owns the risk, whether or not the institution uses a proprietary or third-party mobile banking application. Security breaches can lead to lost revenue, reputational damage, regulatory fines and interruption to operations. Maintaining GDPR compliance and mitigating the risk of regulatory fines. So, how do banking/security leaders mitigate the risk? Lots of cyber security solutions can tell you when a breach or attack has taken place and data has been lost. BlackFog stops it from happening in the first place. BlackFog fills the gap between security solutions that focus on preventing access through intrusion detection systems, such as Firewalls and Anti-Virus/ Malware solutions that remove known infections after they have been discovered. Consisting of 12 layers of defense, BlackFog protects against ransomware, spyware, malware, phishing, unauthorized data collection and profiling.